Lists, images and descriptions of the most prominent golf courses in each region of the UK & Ireland can be found by clicking on any of the buttons to the right. Buttons will appear below on mobile devices. Golf Vacations UK is a service dedicated to providing quality golf and accommodation to destinations throughout Scotland, Ireland, England and Wales. We provide fully inclusive tailor made self drive or escorted golf vacation packages for small or large groups. Just pick your courses in the regions you wish to visit and our experienced, knowledgeable staff will work out an itinerary for your consideration. Our company will obtain tee times for you on major championship courses throughout the United Kingdom. 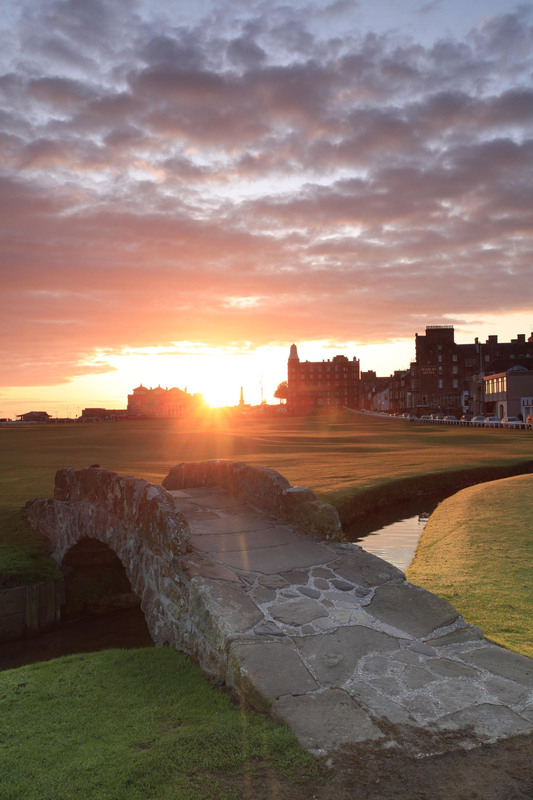 Let us Guarantee you a Tee Time on the Old Course at St Andrews.